After a 12-day voyage across the Atlantic, the Jules Verne ATV*—the first fully automatic uncrewed cargo vessel built in Europe—has arrived safely at the Guyana Space Centre (CSG) ahead of launch early next year. 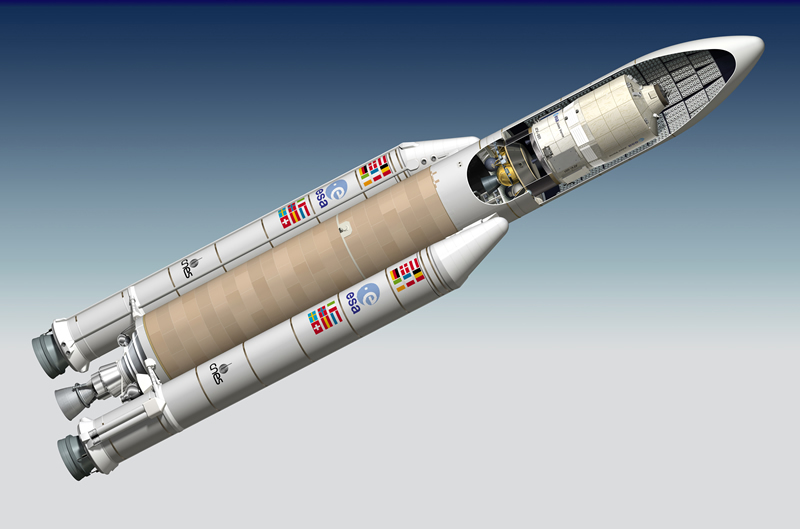 Under CNES supervision, the mission will be a major first for Ariane 5 and the CSG. The Jules Verne ATV will be launched atop an Ariane 5 rocket in January 2008. Its primary mission is to deliver 8 tonnes of supplies to astronauts on the ISS, including air, water, food, mail, propellant, parts and scientific equipment. 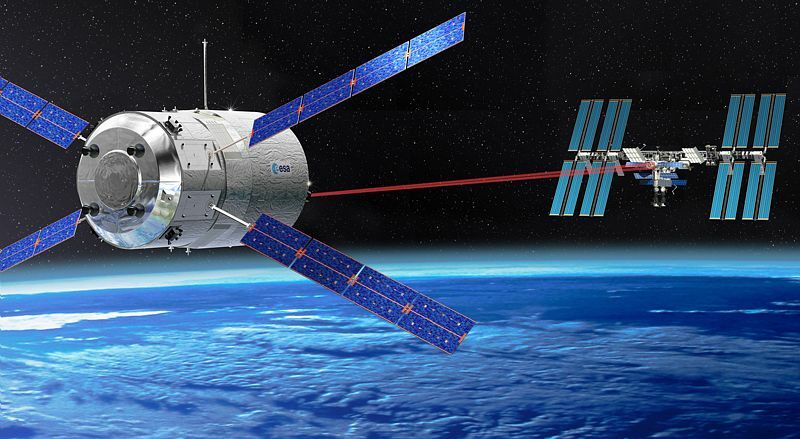 The ATV will also re-boost the ISS to a higher orbit. The mission is named Jules Verne to mark the centenary of the death of the first sci-fi writer of modern times. The Jules Verne is the first of seven ATVs that will re-supply the ISS over the next few years. The launch will conclude eight years of intensive work by the CNES Launch Vehicles Directorate and Guyana Space Centre—not only the development of the Ariane 5 system, but also the various modifications needed to ensure compatibility with ATV re-supply missions. All these developments have been coordinated by CNES technical teams. With a hefty 19.4-tonne payload to place in a highly inclined orbit, the launch of the Jules Verne will also be a major first for Ariane 5. Its EPS storable propellant upper stage will be reignited twice to deliver the ATV to a more circular orbit and allow the EPS stage to re-enter Earth’s atmosphere at mission end. For the next five months, the ATV will be housed at the EPCU payload preparation complex, operated by CNES, where it will undergo specific control and integration phases, then tank filling prior to launch. To ensure mission success, a dedicated ATV Control Centre has been set up at CNES’s Toulouse Space Centre. Managed by CNES for ESA, the ATV-CC is in charge of conducting operations and coordinating all the necessary ground facilities. 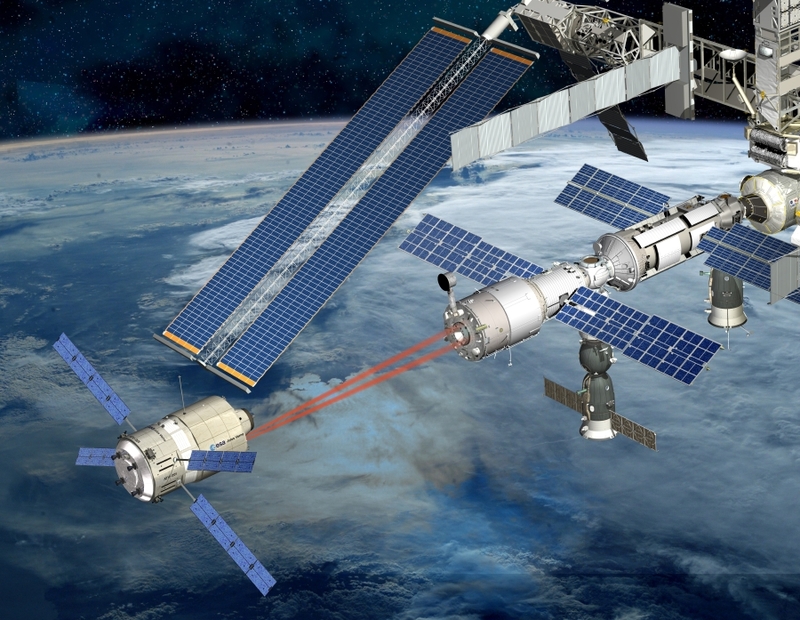 The ATV-CC will work in close coordination with the ISS Mission Control Centres in Moscow and Houston.